The 12 Bottle Bar Book Reviewed for Wine (and cocktail) 101ers! 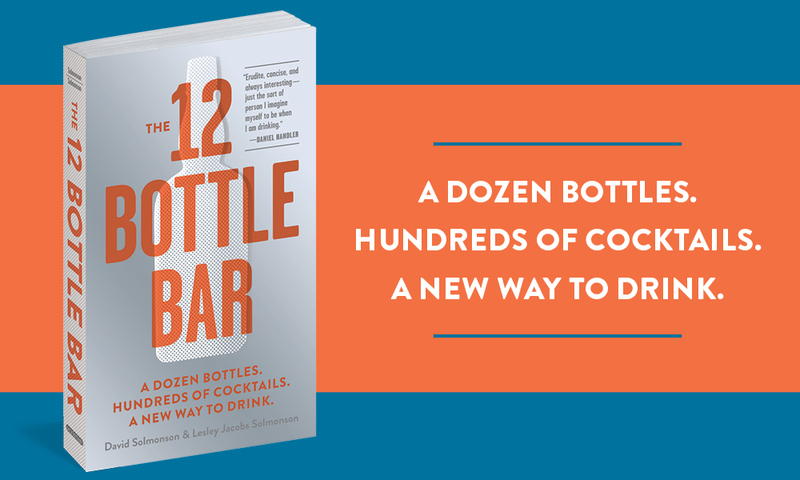 What a treat it has been for me to find an old acquaintance of mine had written what I think is the essential bar book, “The 12 Bottle Bar” with her husband, still lives in my neighborhood, and graciously gave me a copy of my own to devour! Lesley Jacobs Solmonson, who some may remember as one of the first managers of Valencia Wine Company, along with her booze-educated husband David, have put together a book that not only details what to have in your home bar, within your budget, but also delivers clever and insightful short anecdotes you can read aloud to your guests when you try out the innovative recipes. The 12 bottles, as I know that’s your next question, are: Brandy, Dry Gin, Genever (for wine 101ers this is a more flavorful Gin but you must read the Solmonsons’ description to get the full “flavor” on that), Amber Rum, White Rum, Rye Whiskey (our new favorite), Vodka (under duress), Orange Liqueur, Dry and Sweet Vermouth, Aromatic and Orange Bitters. The Solmonsons also give their recommendations on “Tools of the Trade” as well as those that prefer to budget their bar to one to four bottles alone. There is more than one index listing out where specific cocktail recipes can be found quickly in the book, garnishes, as well as virgin, beer, wine and cider drinks. There are also indexes on Conversion Tables and where to find the Solmonsons’ own favorite bars.